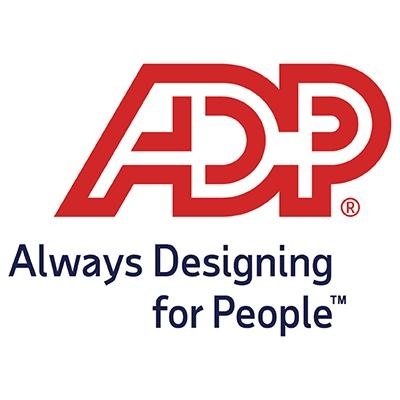 ADP is hiring a DevOps Systems Engineer with demonstrated experience in managing infrastructure. We believe people make great companies, not the other way around. Our people make all the difference in delivering innovative HR technologies and solutions that help employees all over the world do their jobs better. We’re building the next generation of ADP technologies. This role will be for ADP’s Compliance Solutions division in our newly launched STUDIO 55 in the heart of beautiful downtown Pasadena. As part of the ADP Compliance Solutions DevOps team, you will take on the task of helping develop world class financial compliance solutions using cutting edge tools and technologies. You will be responsible for delivery, administration, availability and scalability of the application infrastructure using industry standard tools and best practices. * Provide oversight, guidance and support product development programs/projects during discovery, design, development, deployment, and support activities. * Define and apply best practices for the solution architecture and communicate / collaborate with key stakeholders. * Provide advanced troubleshooting and consulting when required. Serve as design authority at a project level by understanding the business goals and functional / technological constraints and designing appropriate solutions that map to the organization’s enterprise architecture. Define how a solution will be constructed, which existing Solution Building Blocks will be integrated, how they will be integrated and what gaps in capability need to be filled. Participate effectively in relevant aspects of software development life cycle (SDLC) including planning, construction, testing, reviews and demonstrations. Collaborate with team to design, develop, test and refine deliverables. Collaborate with clients, Product Managers, Architects, & Analysts to develop and review requirements & design. Good experience in data center operations involving compute, storage and network. Excellent administration and troubleshooting skills in any JVM platform (Tomcat / Weblogic / WebSphere). Strong background in understanding all areas of SDLC using Java and / or C++. Good understanding and hands-on exposure to DevOps CI / CD using industry standard tools like Jenkins, Puppet / Chef, GIT, Nexus, etc. Good AWS DevOps and / or SysOps skills with demonstrated knowledge with ‘infrastructure as code’ using AWS CloudFormation or HashiCorp’s Terraform. Strong application monitoring skills with industry standard APM tools like Dynatrace or AppDynamics or NewRelic. Hands-on exposure to operational intelligence tools like Splunk or ELK stack or Grafana. Good understanding of systems administration concepts and hands-on experience with basic Windows / Unix scripting. Broad technical background with good people skills and communication skills to work with a variety of development teams onsite and offshore. Have professional certification in AWS DevOps and / or Puppet. Considerable experience working in a hybrid cloud environment. Experience with AWS configuration management using tools like EC2 Systems Manager, OpsWorks and EC2 Auto Scaling.